I am over the moon excited for today's post! A few weeks ago, Chloe, of One Kings Lane, reached out to me, asking if I'd like to participate in their Spring Refresh challenge. Saying yes was really a no brainer for me. One Kings Lane is one of my go-to's for home decor items and I was flattered to find out they were interested in my personal decor! For those of you who aren't familiar with One Kings Lane, their site is similar to those of Rue La La or Joss & Main, but I prefer it over the other two. The feature I like best is that rather than just having "Events" to shop, you can also search the entire site or shop by category. They have an full vintage line as well. If you're not already a member, feel free to sign up using this link! I have been reading their wonderful style blog lately, too, which you can browse here. 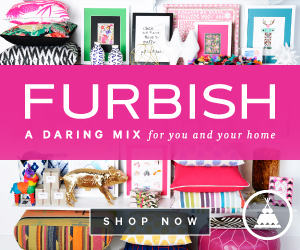 The Home Decor Handbook is a must read! For Spring Refresh, bloggers were asked to post before and after pictures of a space in their home that has recently been refreshed for spring. The refresh could be as simple as adding some fresh blooms or bright new pillows to a spot in your home, or, as complex as totally redoing a room. 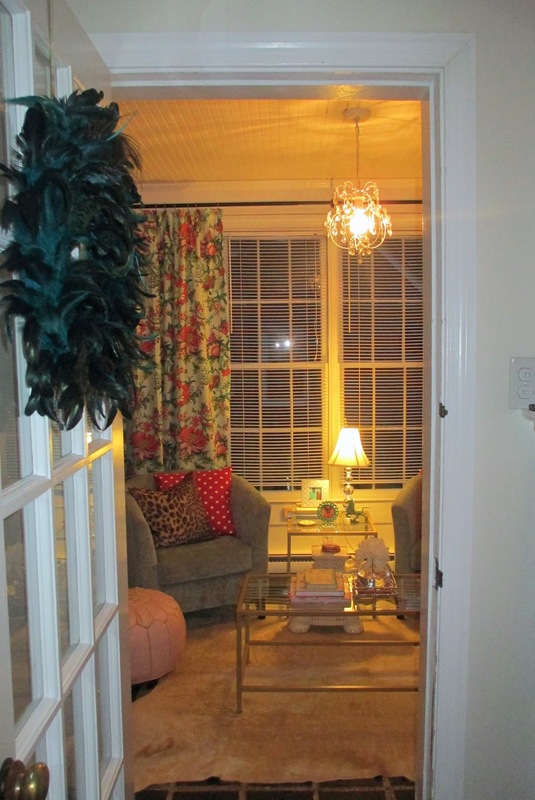 I chose our sun room for the challenge and am so excited to show you the updates. Welcome to my ultra-girlie sun room! 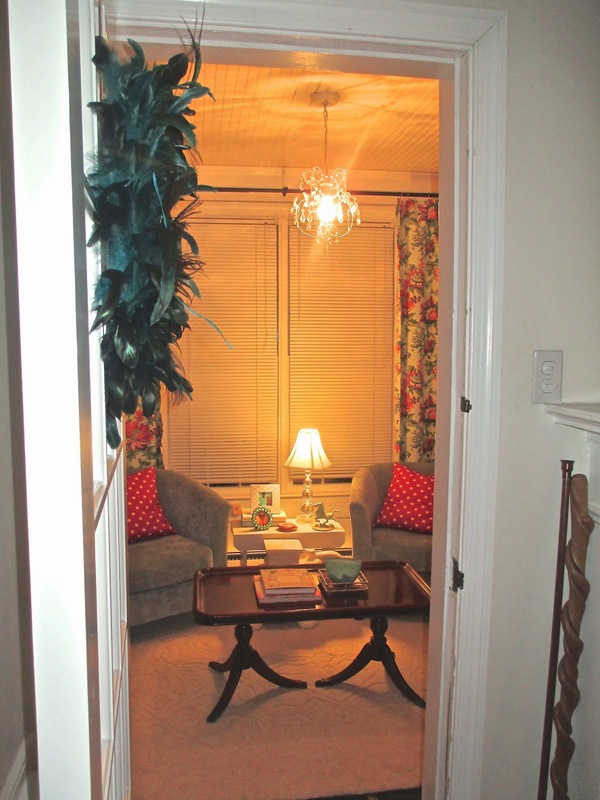 For a full tour of the room, before updates, click here. 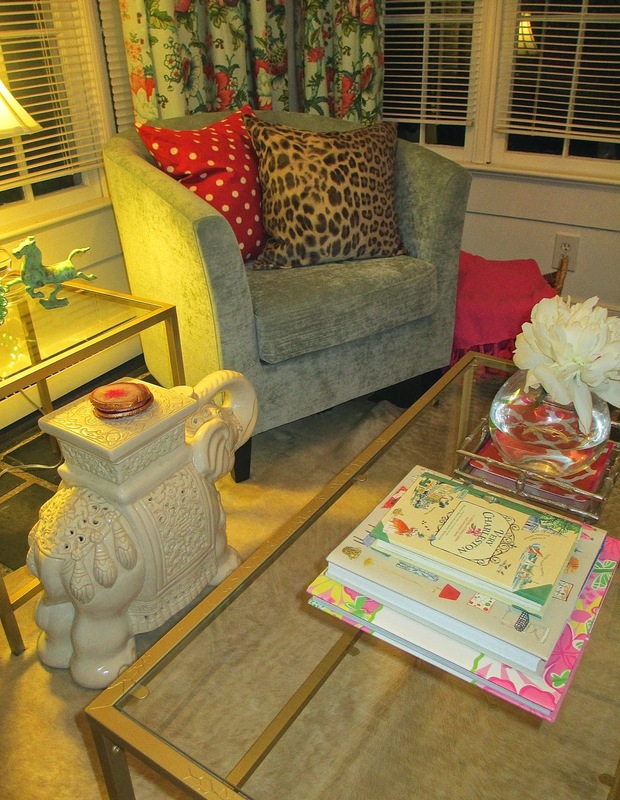 As you can see, updates included: a new cowhide rug, the addition of leopard pillows & a moroccan pouf, as well as, new gold coffee and side tables. I also added doors to the bottom of a bookshelf, which can be seen below! Those who have followed the blog for a while, have known that the sun room has been my baby; since living together, Bryce and I have worked to find a balance between our styles. One sacrifice Bryce made, though, was completely handing this room over to me. 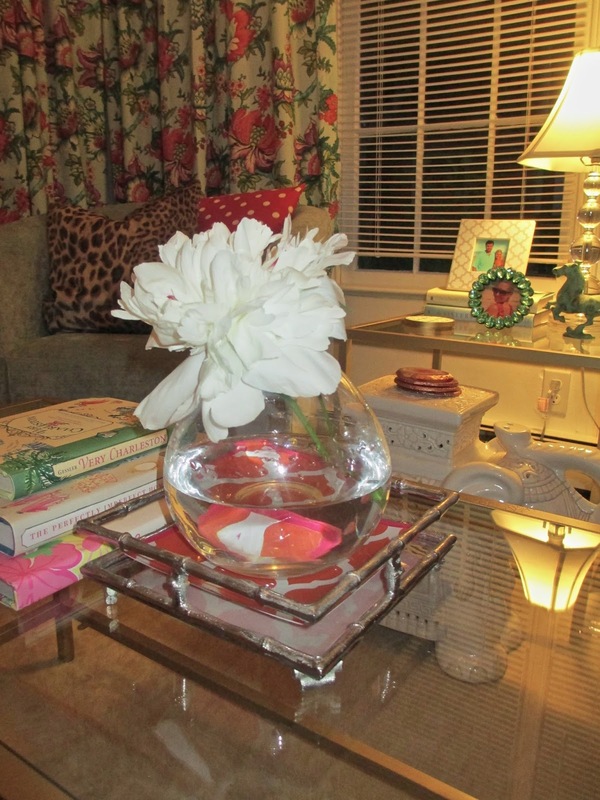 It is my favorite spot for girl talk and wine, as well as blogging. The vision I've had, however, has taken time and I am happy to say it is now 99.9% complete! Here re some more pictures from the space. The pouf provides the perfect cushion to kick my feet up. As mentioned previously, I was inspired to makeover the Ikea Vittsjo nesting tables by Kristin, the blogger behind The Hunted Interior. I initially was going to ditch the square table that nested on the end, however, decided to use it as a side table instead. I think it gives the room such a clean look. The new tables really brighten up the space! I also got around to ordering the doors to go on this bookshelf. 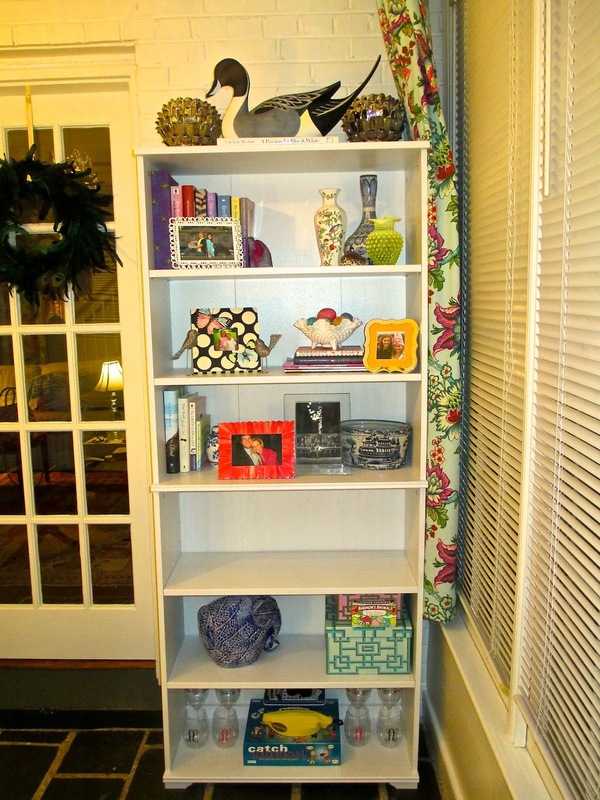 They have provided some necessary storage and give the bookshelf a more polished look. 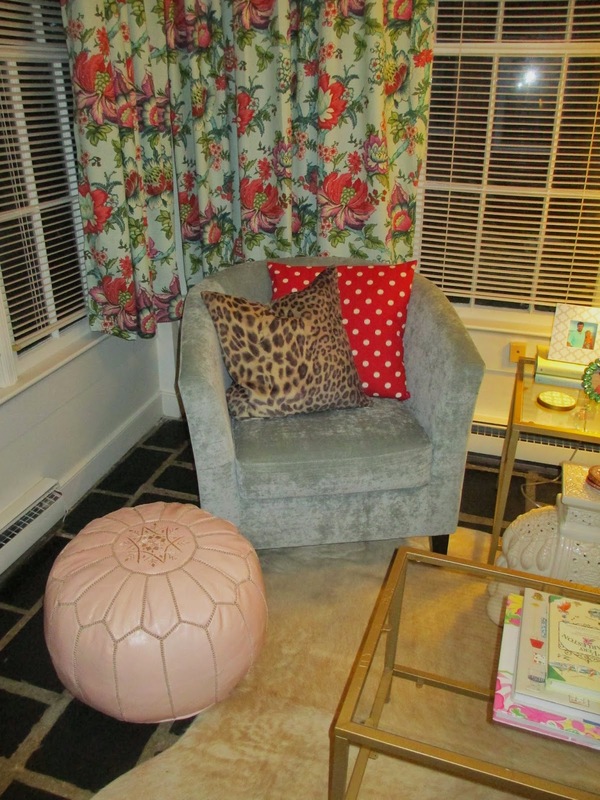 It's also worth mentioning, that adding the leopard pillows happened completely by accident. I had bought the pillows for our living room, but one night when Bryce was having some guys over, he threw the pillows into the sun room. As soon as I saw them, however, I knew they were meant for the space. The room also gets a taste of spring with fresh blooms from our garden. We have a large collection of peony bushes that we replanted from my grandmother's garden and I am so thrilled that they are thriving! This one is as big as my hand! 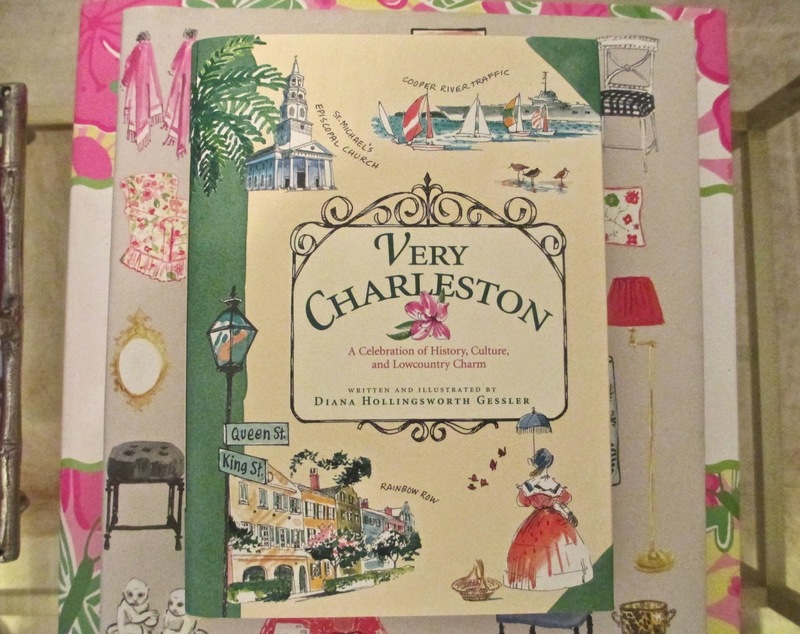 This Very Charleston book that we bought on Spring break has been a happy addition to the room! The cowhide is one of my favorite changes in the room. It's the perfect size and I love that the slate floor is now much more visible, really giving the room a porch feel. So there you have it: My Spring Refresh! Finishing the tables: If you look closely, you'll notice the paint is crackled in a few spots. Those spots are in need of sanding and a fresh coat of paint. I also need to give major thanks to Bryce. This table makeover has been all him--I bought the paint and showed him Kristin's blog post and he has done the rest! I also am planning to have a piece of glass or mirror cut for the bottom ledge of the table. I am really looking forward to styling the table more, once those steps are done. Knobs: I really would like to add some cute knobs to the bookshelf doors sometime in the near future. Ceiling: My dream would be to paint the ceiling light blue, a Southern tradition for porches, however that dream isn't likely to come true! Any other thoughts or ideas for improving the space? Have you refreshed your home with bits of spring? This looks great!!! I love the new table...definitely brightens up the room. I think adding the doors to the bookshelf was a great idea too. Ps check out Etsy for knobs, they have some cute options! I'll bet you can convince Bryce to paint that ceiling for you…. oh my goodness! I love the space - what a lovely feel, I don't think I would ever leave that little room! 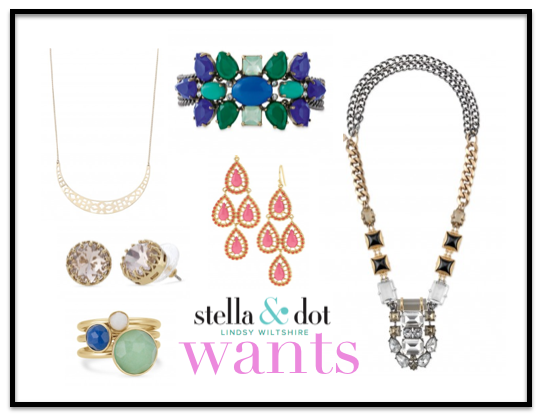 Love Stella & Dot! I hope you get oodles of hostess rewards. 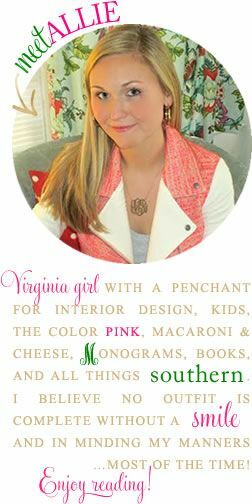 I LOVE your girlie room! My hubby has a man cave and he let me decorate the 2 guest rooms but now I want my own girl cave. Yours looks phenomenal! I love the pillows, tables, curtains and flowers. Perfect! 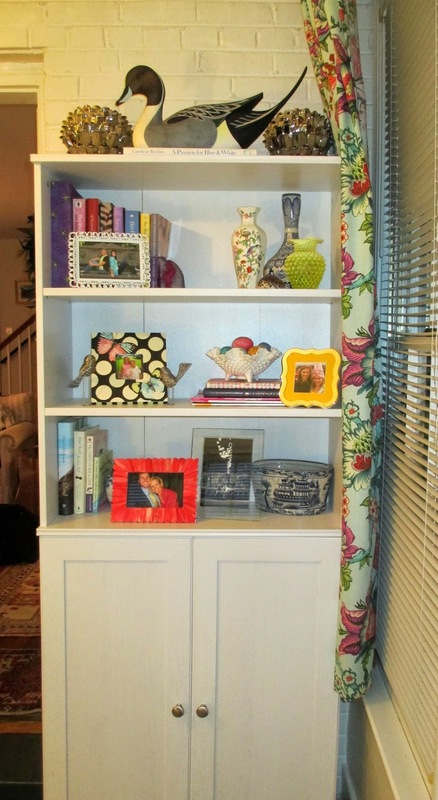 Just an idea I saw on another blog...House of Rose, I think...you could put a really cute fabric over the rectangles on the doors of your bookshelf. Just an idea :) Have a great weekend, Allie!